1941 - Has no ancestors and no descendants in this family tree. In 1951, her father left her and her family. "My father had left me when I was ten. Because of that, I had a huge chip on my shoulder. In those days, you never admitted you came from a broken home. You could never discuss it with anybody and people like me, who kept the shame of it secret, developed terrific anxieties"
In 1957, Thelma Pickles entered Liverpool College of Art. 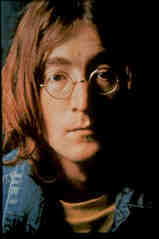 Helen Anderson introduced her to John Lennon. John was sitting on the "signing in" table in front of the collage with Tony Carricker. Thelma and John's friendship blossomed when they were in no hurry to go home and sat on the steps of the Queen Victoria monument for a talk near the bus terminal. During this time, John started calling her "Thel". In February of 1958, John and Thelma became a couple, becoming close by the understanding of broken families. "Most people stopped short. They were probably frighten of him, and on occasions, there were certainly fights. But with me, he met someone with almost the same background"
At first, Thelma believed that John didn't care about his father's leaving, but realized that he did care. "As I got to know him, he obviously cared. But what I realized quickly was that he and I had an aggression towards life that stemmed entirely from our messy home lives"
John and Thelma had a rebellious streak. John's Aunt Mimi Smith hated his tight trousers while Thelma's mother hated her black stockings. John and Thelma would sag off college in the afternoons to see films and would hang out at Ye Crack bar with other students. In July of 1958, John's mother, Julia, got killed in a car accident, sending John to a tailspin. At one night, John rounded on Thelma in front of several students and was rude to her. "Don't blame me, just because your mother's dead"
John went quiet and things went to a turning point, now respecting her, who in return, his own viciousness with a sentence that was equally offensive. When together, the affinity was special with a particular emphasis on sick humor. "John laughed and ran up to them to make horrible faces. I laughed with him while feeling awful about it. If a doddery old person had nearly fallen over because John had screamed at her, we'd be laughing. We knew it shouldn't be done. I was a good audience, but he didn't do it for my benefit. Children often find that kind of sick humor amusing. Perhaps we just hadn't grown out of it. He would pull the most grotesque faces and try to imitate his victims"
On the nights when John's Aunt Mimi Smith was due to go out for the evening of bridge, John and Thelma would meet on a seat in a brick-built shelter on the golf course. When the coast is clear, they would go inside the house to spend some more quality time together. Well aware of John's failing in the art classes, Thelma would write fake papers for him so that he won't fail in lettering. By July of 1958, John was growing attracted to another student, Cynthia Powell. "I was in his camp of boys because I was a bit of an arty beatnik. Cynthia was dainty and sweet. We used to take the mockery out of her, but John always said he fancied her. He was certainly always attracted to her from the first time he saw her in the canteen"
By the end of July of 1958, Thelma left college temporarily and the relationship between her and John was over, but remained friends. "It just petered out. I certainly didn't end it. He didn't either. We still stayed part of the same crowd of students. When we were no longer close, he was more vicious to me in company than before. I was equally offensive back. That way you got John's respect." While she was away, she heard that John and Cynthia were close. She was startled, but pleased. "I thought she'd be good for him, temper his aggression. I knew she'd have to tailor herself into looking like Brigitte Bardot for him, and I remember reflecting on the fact that he'd teased her so much about being so proper. I remember thinking: 'He's got what he wanted-again'"
In 1959, after coming back to college, Thelma went out with Paul McCartney, briefly, just before he met Dot Rhone. 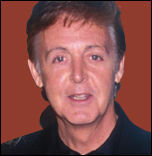 Thelma went on to marry Roger McGrough, from Scaffold, with Paul McCartney's brother, Mike, in the band. 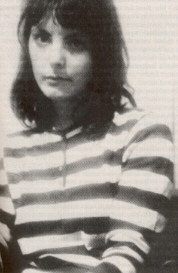 During their marriage, Roger composed a book of poems, "Summer with Monika", dedicated to her. In the 1970s, Thelma and Roger divorced. Thelma went on to become a television producer, producing Cilla Black's "Blind Date"